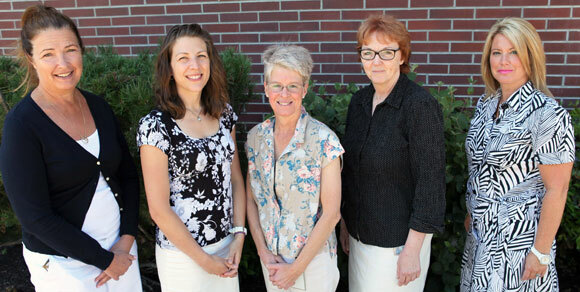 Dr. Carol Laberge and research team members Susan Holtzman, Kathy Rush, Linda Hatt and Louann Janicki will investigate cardiovascular care in rural areas. For the estimated 350,000 people living with atrial fibrillation (AF) – a common heart arrhythmia – residing in a rural community can mean limited access to the network of healthcare support which is pivotal to managing this complex and unpredictable condition. If poorly managed, AF can increase stroke risk by five times, cause repeated hospitalizations and emergency room visits, and contribute to considerable uncertainty, psychosocial distress and reduced quality of life. An interdisciplinary team from UBC and Interior Health received $20,000 from the Canadian Institutes of Health Research (CIHR) to develop an innovative telehealth service, and continue their research addressing current gaps in rural cardiac health care services. “Often the only option for older adults living in rural areas to receive specialty health care requires leaving the comfort and familiarity of their communities and may lead them to forgo much-needed care,” says Kathy Rush, team lead and associate professor in the UBC Okanagan School of Nursing. The telehealth system will provide quick, easy access to specialty services, bringing long distance heart-related health care to the patient – and the primary physician. The interprofessional team expects the telehealth service to increase efficiencies, and time and cost savings for both patients and the health care system. The UBC Okanagan team, led by Rush, includes Susan Holtzman and Linda Hatt, associate professors in psychology at the Irving K. Barber School of Arts and Sciences, and Robert Janke, deputy chief librarian of the Okanagan campus. Janke is conducting a survey of literature to identify the range and nature of telehealth approaches used with rural living older adults with cardiac conditions. Holtzman and Hatt will provide expertise in the psychosocial components of the telehealth design, with specific attention to patients’ needs for emotional and informational support. The Interior Health team is led by Laberge, and includes nurse practitioners, Louann Janicki and Nicole Gorman, along with cardiologist, Dr. Petr Polasek. This CIHR Planning Grant builds on two grants the team has received in 2013 including a CIHR catalyst grant and an Institute of Healthy Living and Chronic Disease Prevention grant.